In February, UCCS graduate student Skylyn Webb led the women’s track team to victory in the Rocky Mountain Athletic Conference (RMAC) indoor championship meet. She did it with a winning time of 2:12.36 in the 800-meter run, her signature event. Then, in May, she laid down a time of 2:02.47 seconds to win the NCAA Division II outdoor championship. That performance earned her a spot in the Team USA outdoor championship, where she finished No. 10 out of 32 runners. Webb’s story began at Fort Lewis College. She played basketball for two years before switching to track and field, which she had been participating in since she was young. A search for a graduate program brought Webb to UCCS, where she balances school, track and life in pursuit of a master’s degree in clinical psychology. “It’s pretty crazy,” Webb laughed. “Basically, from the time I get up to the time I go to sleep, I’m either writing a paper or my thesis, or running.” But it is worth it, she said, because of a love of running and a desire to make the most of herself. 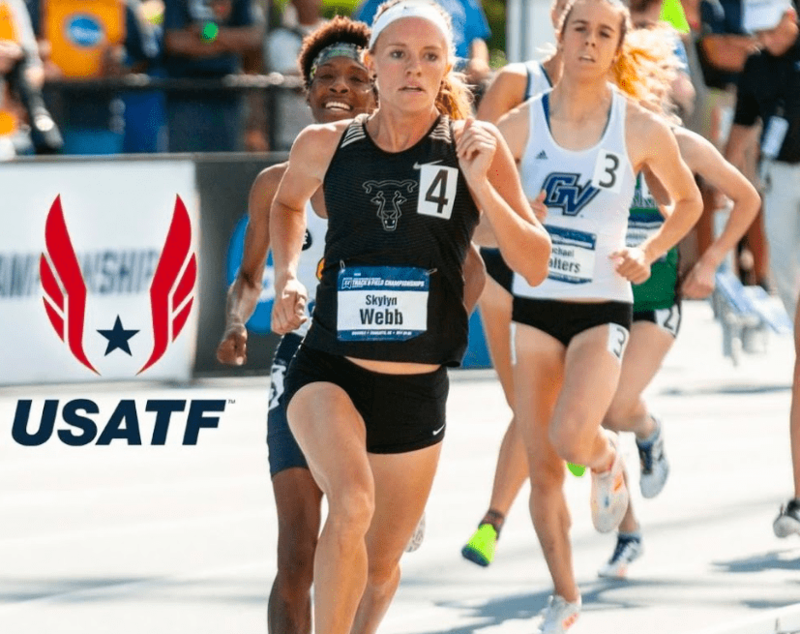 Webb’s journey has led her to set her sights on professional track and field, so long as she is able to graduate in May. Her next opportunity will come this summer with another Team USA trial. Another possibility is the prospect of having professional sponsors after she graduates — sponsors such as Nike or Asics. Until Webb actually graduates, this remains only a possibility. According to the NCAA’s latest rules, athletes will be unable to compete collegiately if they agree to be represented by an agent, if they accept any benefits from an agent (such as a sponsorship) or if they accept any benefits of any kind as a result of their athletic performances, including prize money. Webb praised the team and the coaches at UCCS.